The stellar new novel in Robert B. Parker's New York Times bestselling series featuring Paradise police chief Jesse Stone. Jesse Stone, still reeling from the murder of his fiancée by crazed assassin Mr. Peepers, must keep his emotions in check long enough to get through the wedding day of his loyal protégé, Suitcase Simpson. The morning of the wedding, Jesse learns that a gala 75th birthday party is to be held for folk singer Terry Jester. 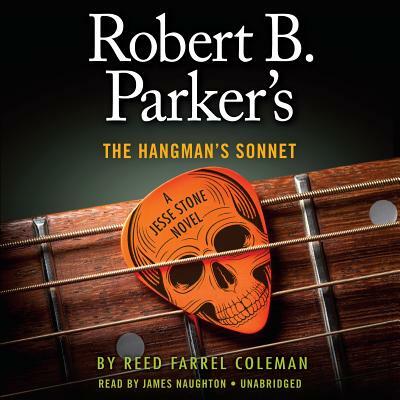 Jester, once the equal of Bob Dylan, has spent the last forty years in seclusion after the mysterious disappearance of the master recording tape of his magnum opus, The Hangman's Sonnet. That same morning, an elderly Paradise woman dies while her house is being ransacked. What are the thieves looking for? And what's the connection to Terry Jester and the mysterious missing tape? Jesse's investigation is hampered by hostile politicians and a growing trail of blood and bodies, forcing him to solicit the help of mobster Vinnie Morris and a certain Boston area PI named Spenser. While the town fathers pressure him to avoid a PR nightmare, Jesse must connect the cases before the bodies pile up further. Reed Farrel Coleman, author of the New York Times bestselling Robert B. Parker's Debt to Pay, has been called a "hard-boiled poet" by NPR's Maureen Corrigan and the "noir poet laureate" in The Huffington Post. He has published twenty-five previous novels, including nine books in the critically acclaimed Moe Prager series, and most recently, What You Break, featuring Gus Murphy. A three-time winner of the Shamus Award, he has also won the Anthony, Macavity, Barry, and Audie Awards. Coleman lives with his family on Long Island.